<b>Recognizing the real face of the occult</b> Its tentacles have infiltrated the very fiber of our day-to-day existence. Its symbols adorn our buildings, our currency, and the clothes and jewelry we wear. Its followers are legion, some of them blind to their own devotion while others pour out effort and intellect searching for an understanding of the divine. <b>It is the occult, and it dominates the world's mind-set. </b> Jeff Harshbarger and his friends know about occult practices. After two unsuccessful suicide attempts and an offer to become a human sacrifice, Jeff left his life of Satanism to pursue a life with God. 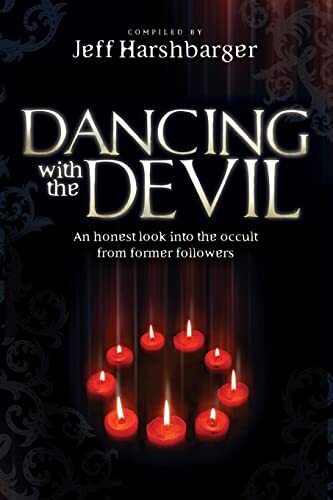 <i>Dancing With the Devil</i> tells his story along with the stories of nine others who have walked similar paths, including: - Satanism- Witchcraft- Demon possession- Spiritualism- Psychic vampirism Each author's account reveals the spiritual truths that enabled him or her to break free. Their stories weave a tapestry that shows the true face of the occult and the path we can take to break Satan's hold on those caught in its crosshairs.